5 Ridiculously Delicious Protein Desserts! Hey, you with the store-bought brownies! Ditch those fat- and sugar-loaded sweets. Have your desserts and support your gains with these 5 healthy twists on classic treats! I have a confession to make: I absolutely love sweet treats! Of course, I prefer to indulge without the bulge—who doesn't?—so I'm not a big fan of the fat- and sugar-loaded gut bombs that populate the aisles of most grocery stores. Instead of scouring nutrition labels for something that looks even remotely healthy, I like to bake my own nutritious goodies at home! Whether you're sticking to strict macros or simply want to try your hand at some healthier indulgences, this collection of protein sweets is sure to delight your taste buds without sabotaging your fitness goals. Try each recipe, then let me know which you like best! Dark, dense, fudgy, minty, rich—I could go on forever about these incredibly delicious brownies! 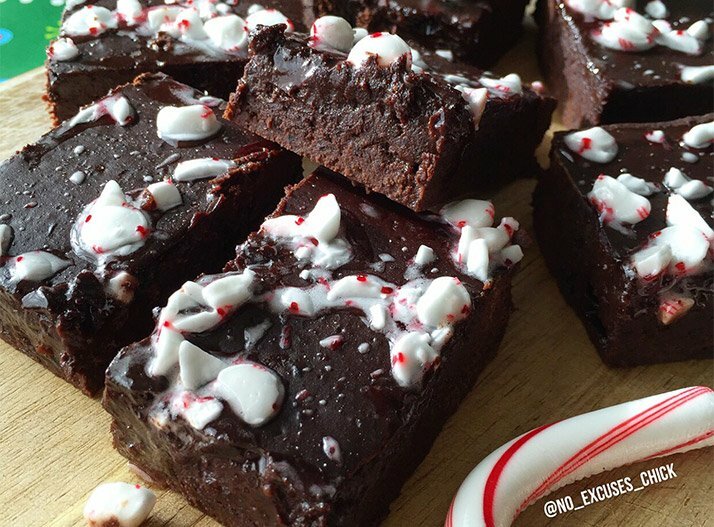 Forget everything you know about black bean brownies; these peppermint fudge beauties take decadent to a whole 'nother level. You really can't taste the veggies at all! However, if you can't tolerate beans, try substituting sweet potato or butternut squash. You may just need to extend the baking time by a few minutes. 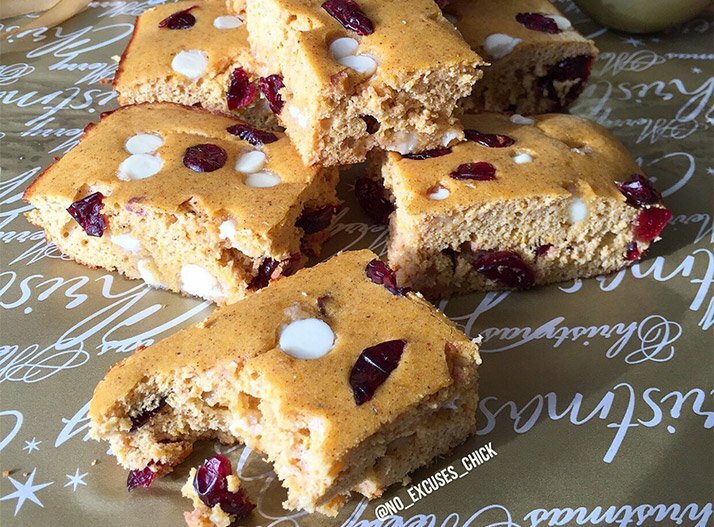 These white chocolate cranberry protein bars are not only mouthwatering, they're also made without any flour or butter. The secret? Butternut squash! I absolutely love baking with it, especially frozen cubed butternut squash. Just microwave, and voila! You've got the perfect sweet ingredient. Fresh-cut butternut squash works, too. Whatever your preference, just be sure to make these (please)! 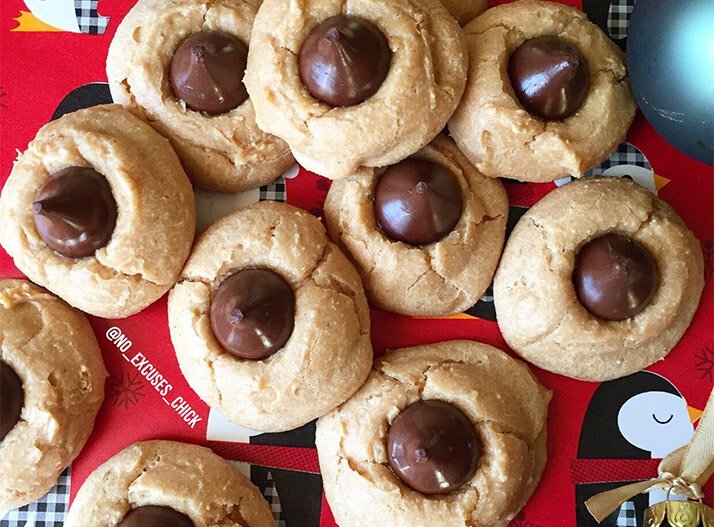 Chocolate and peanut butter is one of those classic combos that never get old! These crave-worthy "blossoms" are packed with protein to keep you full for hours. You can even leave off the kisses for a scrumptious low-carb peanut butter cookie! Yum. You now have no excuse to blow your diet on doughnuts! 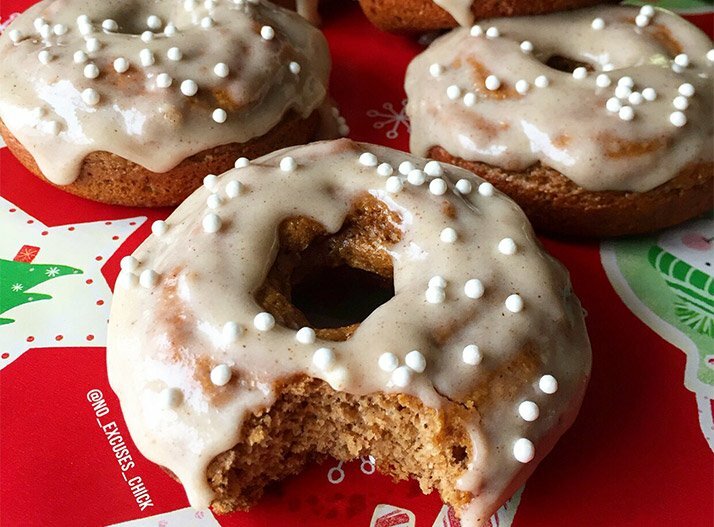 These protein donuts have a rich spiced-gingerbread flavor and that classic cake-doughnut texture (great for dunking in your coffee). These also have fantastic macros. And the glaze is just perfection! I am seriously in love with these cupcakes! With the sweet creamy frosting and rich chocolate-cherry cake, you would never guess they're healthy and packed with protein! 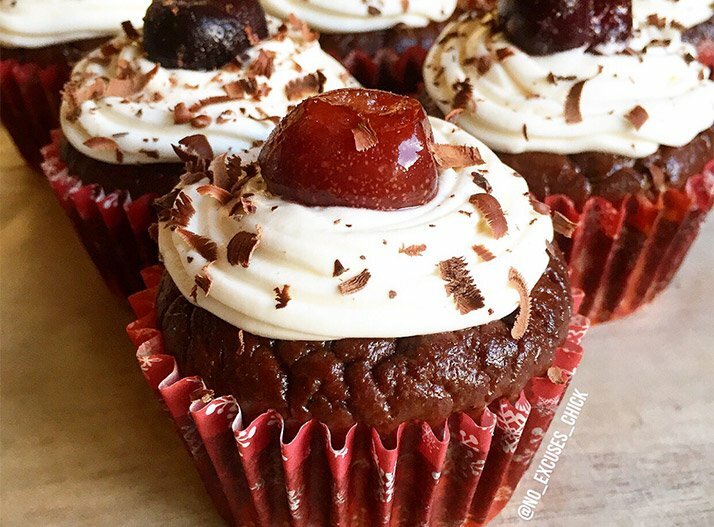 Whip up a batch of these beautiful Black Forest protein cupcakes for a special occasion, or keep them all to yourself for dessert, pre-workout, post-workout, or anytime! Sometimes you just need a cupcake.